Franchise UK > Franchise UK Blog > Cleaning > Rain and Restoration – A Typical English Summer! The typical English Summer has arrived again. One minute it’s warm and sunny and the next we’re stuck in a downpour so, as the UK experiences yet another summer of wild weather, who’s around to clean up the mess that the wind and rain leaves behind? A few people who benefit from a wild summer are Rainbow International franchisees. When flash floods strike, Rainbow International franchisees and their team are on hand to begin the clean-up process and ensure that as little damage is made as possible. Restoring homes, shops and other properties is just part of the work that franchisees carry out. Home and business owners are often back up and running in the shortest possible time thanks to Rainbow International franchisees. Franchisees are often on call 24/7 when the weather’s bad to ensure that they can get to the scene quickly in order to minimise water damage. Thanks to Rainbow International franchisees, business and home owners are often back up and running in the shortest possible time. busy in the Winter with poor weather but quite often, June is a very wet month and it causes chaos on the roads and for property and business owners. When they’re not out in all weathers cleaning up flood water, they’re also offering their specialist cleaning services so they know they they’re in business whatever the weather,” explains Simon Ford, Operations Director at Rainbow International. Dealing with floods and damage from weather conditions is only one part of the work that Rainbow International franchisees undertake. Franchisees also have the opportunity to generate work from the £5.6 million specialist cleaning market which provides a steady and recurring income when the floods have dried out. Rainbow International operate across the UK and serve customers whose homes have also been damaged through incidents such as fire and water pipes bursting. Rainbow International is the UK’s leading franchise supplier of disaster recovery and specialist cleaning services and part of global franchising giant, The Dwyer Group. 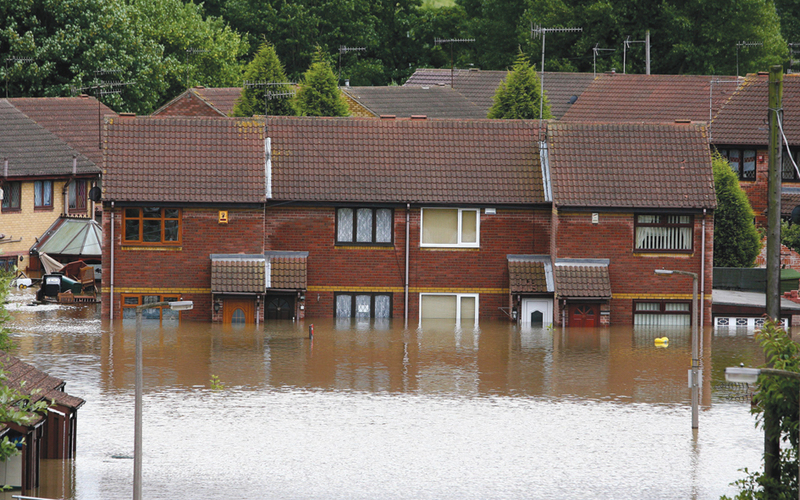 They provide fire, flood and escape of water and accidental damage restoration services to many of the UK’s leading insurance companies on behalf of their many policyholders. In addition, they provide a comprehensive range of specialist cleaning services to commercial, industrial and domestic premises, promoted by the franchisee in their designated territories. You can get more information about the Rainbow International franchise opportunity by calling 01623 272356 or by clicking here.